Posted on March 5, 2013 by Josh Wise. This morning I visited a brand-new co-working space created by some good friends here in Bali. When I sat down and got to work, I was amazed by the speed of the internet in their place. They’ve got a fiber-optic internet connection, which might not sound like much to most of you reading this, but for those of us living on this island–it’s a big shift. So, with my internet humming away at lightning speeds, I uploaded some audio files of mindfulness exercises that I’ll tell you about a little later. Then I opened up an email from a woman named Beth. Life moves so quickly. And it’s getting quicker. Even Bali’s internet is getting quicker. It seems that the more technology advances, the harder it becomes to connect with those who mean the most to us. You and your partner are faced with the challenge of sustaining love in the fast-paced world of instant access and high speed networks. It gets hard to find the pause button. And the world isn’t slowing down any time soon. How can your relationship survive in such a hectic world? How can you and your partner connect when you’re both being pulled in so many different directions? How can kindle the love in your hearts when your minds are multi-tasking? You need to practice SLOW skills. The key to cultivating intimacy is SLOW. Let me tell you what I mean. SLOW means: Stop, Listen, Open, Witness. Stop – Together and separately, you and your partner need to be able to take time to pause. Make the commitment to pause daily. It can be for twenty minutes, five minutes, one minute, or even one breath. Just make the commitment to pause each day together and individually. It is only when you stop and sit on the bank of the river that you see how fast it’s rushing. Pause. Listen – When you take time to pause, listen inside of you. Listen to what is present inside of you right now. Listen to the ache in your back that you try to ignore. Listen to the tightness in your chest that has a message for you. Listen to your clenched jaw. As you learn to listen to the quiet messages inside of your body, you’ll also become much better at listening with your ears. Open – It is so easy to close off and bury yourself beneath the shield of work and stress. When you do this, your muscles literally tighten to create armor around your body. This armor numbs you. To open up, begin with a few deep breaths. Stretch tight muscles and relax those abdominal muscles that you keep tight all day. Just let your belly be soft so you can breathe all the way down into it. When you are physically open, it’s easier to open emotionally. Open up to let your partner’s words and presence penetrate you to a place where you can feel them. See if you can let your guard down and just be vulnerable for a few minutes. Witness – Relax and observe. Observe yourself. Observe your partner. Witness without judging. Simply allow yourself and your partner to be exactly as you are in this moment. As a witness, there is no need to change anything. You are simply seeing what is there to be seen, and feeling what is there to be felt. Take time to truly see the splendid beauty of your partner. Offer your partner the gift of being seen and appreciated for exactly who they are in this moment. And allow yourself to be seen. 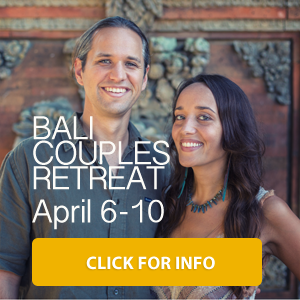 It is in this vulnerability, that you and your partner can have the deep connection that you both long for. It is when you take time to be SLOW, that you can leave the fast-paced world behind you and find each other once again. How can you make this part of your routine? If you’re like many people, SLOW isn’t really a part of what you do. After all, who has time for that? Well, it doesn’t have to take too much time. And I’d be happy to give you a few pointers to get you started. I’ve created a cd of four guided meditations and mindfulness exercises that are specifically designed to help couples be SLOW. I call this cd Loving Now. It includes exercises of varying lengths so that you can always find time to fit them into your schedule. I recognize that I’ve bashed technology and the effect that it has on our relationships, but I must add that it does have its advantages–including the ability to instantly download Loving Now – Mindfulness Exercises for Couples. You can download it quickly now, and then be SLOW later. Just click here to learn more about Loving Now. If you think that you are your partner could use a little help figuring out how to be SLOW, this cd is a great starting place. It will guide you through the basics of mindfulness meditation. You’ll also learn a meditation technique called metta meditation: this meditation is specifically designed for the cultivation of feelings of loving-kindness. 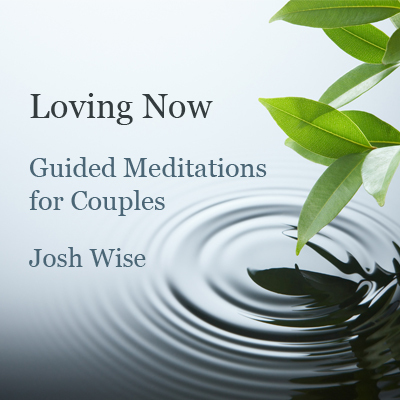 Loving Now also includes two mindfulness exercises for couples that will help you and your partner get in touch with the quiet wisdom of your bodies and the subtle flow of energy between the two of you. This entry was posted in Couples Meditation, Intimacy, Mindfulness, Relationships. Bookmark the permalink.